Our roots run deep in Cape May! 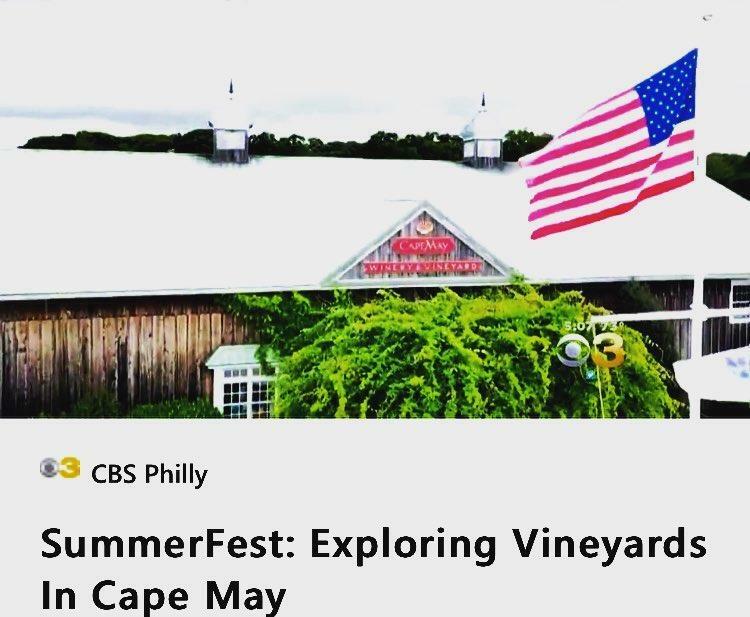 This summer Tori Woodill and the CBS Philly Crew visited our winery and vineyard to see what we are all about here at The Cape May Winery. While we have the oldest vines in the County, our commitment to commuinty may be our biggest claim to fame. The Craig Family, who purchased the winery from its original owner in 2003, have worked over the past 15 years to create a connection to their town. As you walk around the winery and its grounds, you will notice pieces on display that have come from all around Cape May. These featured items connect the physical building to the surrounding town while our staff and the Craig Family connect it to the people. Stop in for a tasting or flight to enjoy quiality NJ wine in a true Cape May setting.